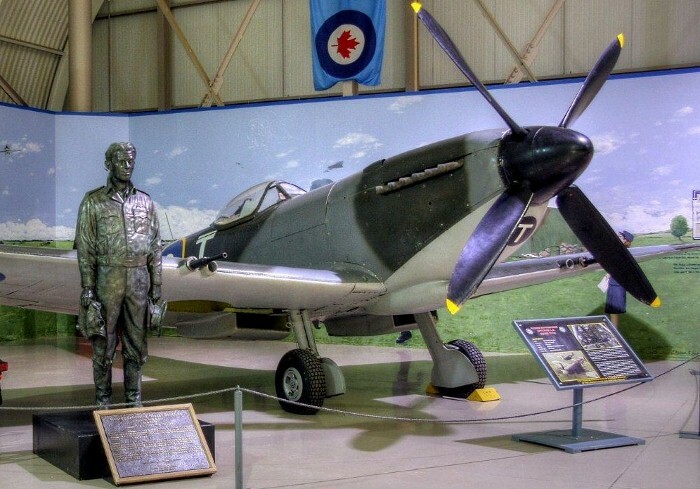 On April 25, 1997, Deputy Prime Minister Sheila Copps presented Canadian Warplane Heritage Museum with a Spitfire on long term loan from the Canada Aviation and Space Museum in Ottawa, Ontario. 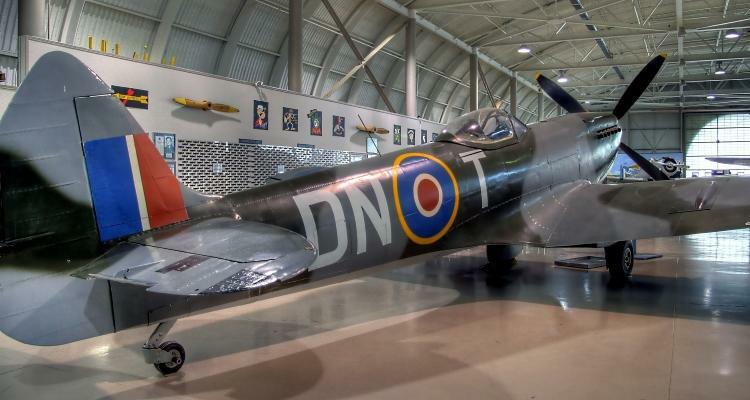 Spitfire TE214 is on loan from the Canada Aviation and Space Museum in Ottawa, Ontario. In the spring of 1942, the defence of Malta became critical, so RAF No. 249 Squadron, equipped with Spitfires was dispatched there. Several Canadians flew with the squadron, the most famous being “Buzz” Beurling, who shot down 24 enemy aircraft over Malta, between June and October 1942. Spitfires served on many of the Second World War battle fronts, including North Africa, Italy, Normandy, North West Europe, South East Asia, and Australia. 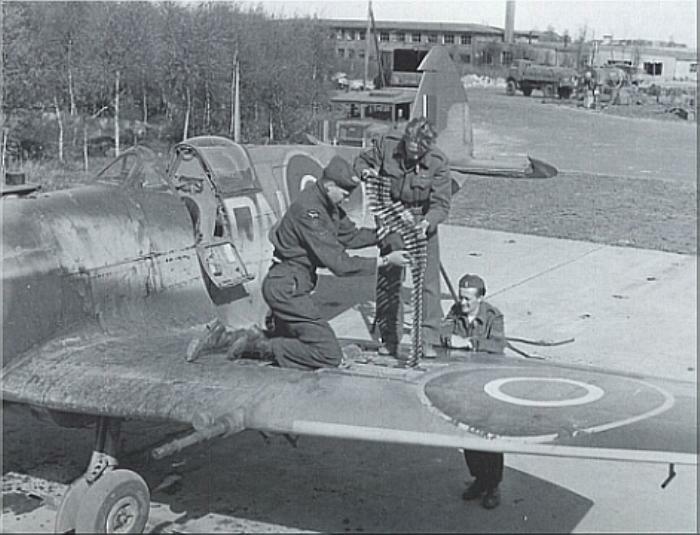 Of special note were the eleven RCAF Spitfire squadrons that provided air cover for the D-Day landings in June 1944 and supported the Allied advance across North West Europe and into Germany in 1945. 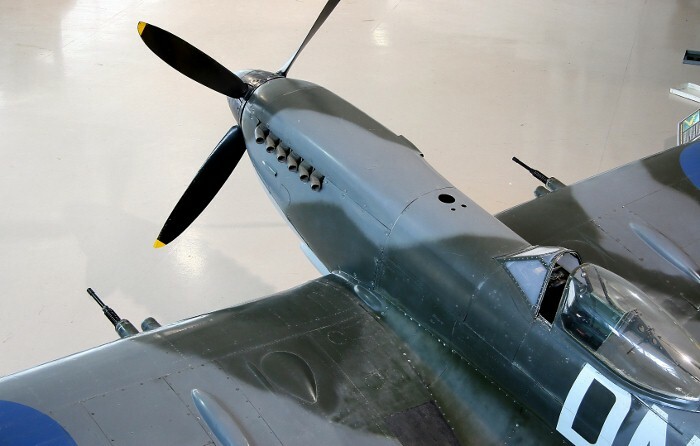 In 1941, a version of the Spitfire was developed for the Royal Navy called the Seafire. Eventually, over 2,000 Seafires equipped Fleet Air Arm squadrons aboard British aircraft carriers during the war. 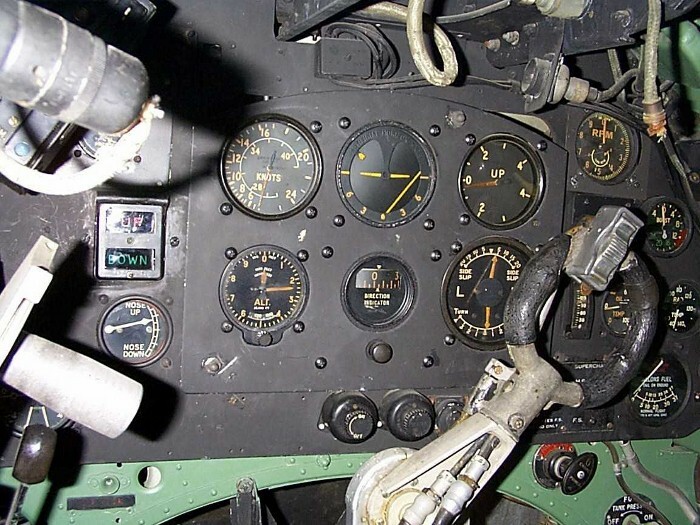 Following the war, Seafire XVs were operated by Royal Canadian Navy between 1946 and 1954. From July 1938 to March 1949, 20,351 Spitfires were manufactured, together with another 2,406 Seafires for a total of 22,757 aircraft. Besides the RAF, the RCAF and other Commonwealth Air Forces, the Spitfire served with the air forces of eleven other nations. The Spitfire Mk. 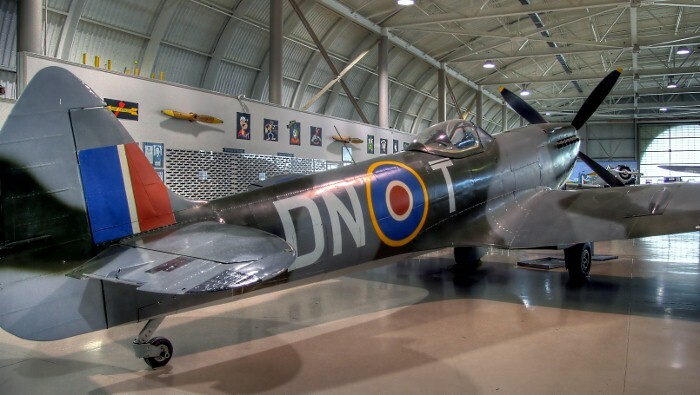 XVIe at the Canadian Warplane Heritage Museum was built by Vickers at Castle Bromwich, UK, in 1945. It flew post war with RAF No. 203 Advanced Flying School, until it was damaged in an accident. 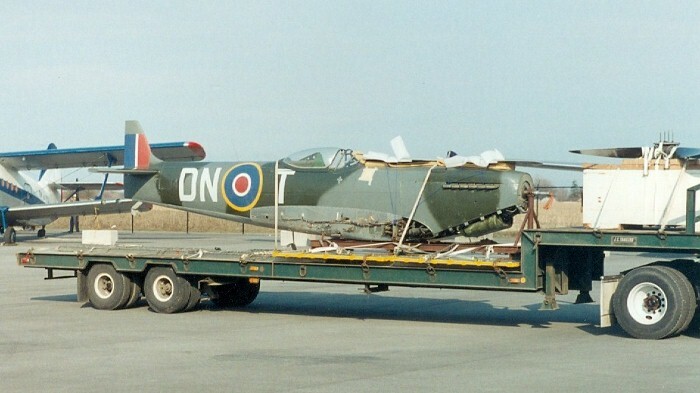 The British Air Ministry gave it to the RCAF in 1960, who transferred it to the Canada Aviation and Space Museum, Ottawa, in 1966. The Spitfire displays the markings of No. 416, “City of Oshawa” Squadron, one of eleven RCAF squadrons that fought over North West Europe in 1944-5. It is on loan from the Ottawa Museum.